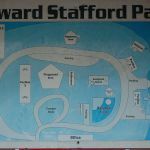 Ask fellow campers about "Howard Stafford" and nearby attractions. Pontotoc, Mississippi has the nicest park. 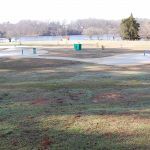 Howard Stafford is a city park that caters to all kinds of people. There is a lake for fishing. 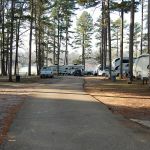 a play ground for the kiddies, 15 full hookups for the RV'ers and spots for those who had rather camp in a tent. It's with in the town limits only minutes to all the it has to offer. The playground was in use every day by moms with little ones and teens after school. The fishing piers, three as I recall, were in use also. You're bound to find that something you can't live without at the antique stores on Main Street. There is a Donuts shop that serves the kind we had when I was a youngster. You can't just eat one. I will also tell you. The best thing about a visit to Pontotoc is it's small town hostility of it's people. You can learn family history standing in line at the checkout of the drug store. We camped at Howard Stafford in a Travel Trailer. If you go, be very aware that the entrance to the park has a sign that is very small. I knew where it was and still missed it so have you co-camper be on the look out for it. There are plenty of places to eat. I can recommend Boondocks Grill for lunch. Along Main Street there an aboundance of antique stores. Are you affiliated with Howard Stafford ?